New Helpful Information About Sleep, Mattresses and Bedding Products. What does CertiPur foam mean to you ? Do you understand what certipur mattress foam is? 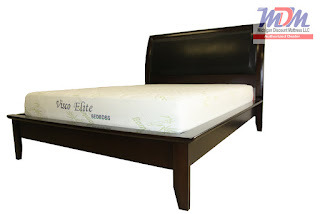 It is a mattress and furniture foam that has been tested and certified so that the mattress does not have harmful emissions from chemicals that are sometimes used in the foam that pads mattresses. Molly is a mother of two young children and a mother who was involved in a horrible car crash two years ago. Her mother lost the use of her legs and is mostly in bed or in her wheelchair. Concerned at the amount of time that her mother was spending in bed, Molly went shopping for the best mattress to ensure her mother's comfort. One of her friend's told her about Certipur foam and she started doing her research. What she found shocked her to say the very least. She has since changed all the mattresses in the house so that they bear the Certipur seal. 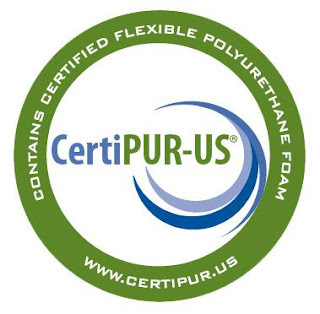 Mattresses with a Certipur seal are polyurethane foams that have been thoroughly checked and tested so that they will not produce any emissions which are from chemicals that are in the mattresses. Some of the chemicals that may be found in polyurethane foams that have not been Certipur certified are chlorofluorocarbons which are chemicals that deplete the ozone layer, mathylene chloride, PBDE fire retardants which have been banned by the US government. Foams are tested so that they are not made of these chemicals even if they are prohibited as they are dangerous. Other chemicals that are tested are lead and mercury as these metals can be dangerous especially for young children. Lead and mercury poisoning often cause other diseases which result in nerve damage, kidney dysfunction, hypertension among many others. Prohibited phthalates and other chemicals are tested so that if these are present in the foam, then the foam will not be used in mattresses. Formaldehyde is a chemical that causes the air in your home to be poor so that over time, especially young children will have problems breathing and other respiratory issues. All these chemicals will slowly emit in the air and can cause various health problems and complications over a long period of time. Other factors that are tested in Certipur foam made mattresses that are tested are durability and performance so that the mattress lasts long and will be able to support you as well as be comfortable enough so that you get the rest that you need. Certipur is a voluntary testing program so not all companies will have their mattresses tested. To be on the safe side it is important to get one that has the Certipur seal so that you are sure that your mattress has been tested and is safe from all these harmful chemicals. As for Molly, she now feels safe and knows that her young children and elderly mother are safe because she uses only Certipur mattresses. She is sure that her family is safe from harmful emissions and that they are not in danger from dangerous chemicals or products as their mattresses have been tested. Why can't I sleep ? 60 x 74 Short Queen Mattress - Where to Find ? Copyright Michigan Discount Mattress LLC. Awesome Inc. theme. Powered by Blogger.